Has there been a position more iconic to the art of Brazilian Jiu-Jitsu than the closed guard? While the position has certainly been utilized in various grappling arts, it was BJJ that brought the position into mainstream consciousness, with one of the first recorded instances of its use being Helio Gracie himself, who in 1951, choked the judoka Jukio Kato into unconsciousness with a basic collar choke. What makes the closed guard such an effective position? The gist of it is that the closed guard gives you a high degree of control over your opponent’s hips and posture. Control over a person’s posture and hip mobility is one of the most important concepts in grappling. With your strongest limbs wrapped around his hips, his hip mobility is limited while you are able to use your legs to continually break his posture (which is even more important when strikes are allowed). 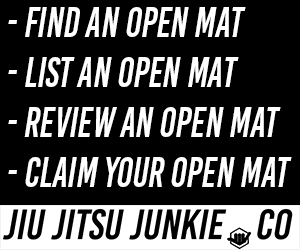 Further, in a sport grappling scenario, your opponent will not be able to score on you or submit you (barring several notable exceptions such as the Ezekiel choke or the can opener) without first opening your guard, which is no easy task against a skilled closed guard player. Is the closed guard still relevant in modern sport grappling and MMA? It is certainly true today that the closed guard has become much less common in sport grappling, and in MMA is considered by many to be a dangerous position for the person on bottom. Watch any modern sport grappling tournament today and you will see the use of elaborate and complex open guards. However, I argue that the reason the closed guard is less prevalent in that arena today is not because of its lack of effectiveness, but due to the skill of the top player avoiding being put in the closed guard in the first place! As mentioned, the top player would not be able to score or submit his opponent while in closed guard, hence many practitioners today are highly adept at avoiding being put in this position. The current style favoring standing passes also makes it difficult for the bottom player to lock the closed guard, necessitating the use of the various open guards instead. However, fighters such as Roger Gracie, Bernardo Faria, Claudio Calasans, and Kron Gracie have proven that the closed guard, when achieved, remains a powerful position for sweeping and submitting your opponents. In MMA, where BJJ has been a staple component of the game for years, fighters have also become skilled at negating the hip mobility of the closed guard player (often by pressing them against the cage) and delivering powerful ground and pound. Nevertheless, the closed guard retains its power as a defensive position, with many fighters using the position to break their opponent’s posture, minimise damage, and force a stand up. Offensively, submissions from the closed guard are still seen, often with the fighter snatching a guillotine and then jumping closed guard to finish, and although submissions starting from the closed guard itself are rarer, there have been iconic finishes such as Anderson Silva’s triangle against Chael Sonnen and Anthony Pettis’ armbar against Ben Henderson. Kron Gracie’s fight against Asen Yamamoto also displayed a beautiful and technical offensive use of the closed guard. To conclude, the closed guard remains a powerful position, both defensively and offensively. However, it is just one position out of many, and fighters today have many other options at their disposal.